If showers could talk we're sure they'd ask for Method daily shower relief: a non-toxic formula that prevents soap scum dissolves mildew and lime stains. Great natural shower spray which cleans and prevents build-ups. Use on clean showers to prevent build-up just spray a mist on walls and curtain to keep clean. Naturally derived non-toxic and biodegradable ingredients like lactic acid dissolves soap scum and mildew from your shower without harming anyone in it. 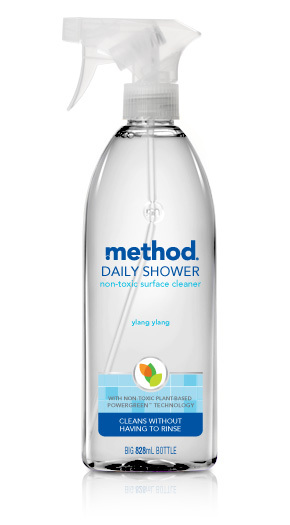 There are currently no questions to display about Method Ylang Ylang Daily Shower Spray.